Ila Joan English, 87, of Butler died Wednesday at Sunnyview Nursing Home of Butler. She was born on August 10, 1931 in Oil City, PA to the late Robert and Katherine (Beichner) Elder. She was the wife of the late Charles A English. They were married July 26 1952. 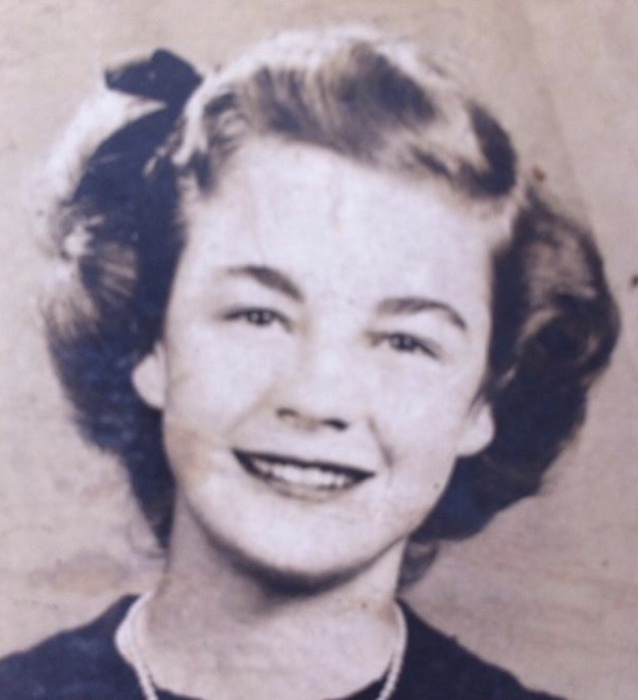 Ila was a homemaker most of her life but enjoyed working in retail at Kmart and Fashion Bug. She was a member of St. Fidelis Roman Catholic Church in Meridian. She was an avid bowler and belonged to various bowling leagues at Sherwood Lanes. She was a volunteer at the VA Hospital. She enjoyed cooking for her family, especially Sunday dinners which often included the family favorite chicken and homemade noodles. She also loved to garden and plant flowers. She was very crafty and could make or fix just about anything. She always had the best smile that will be missed by all that knew her. But what she loved the most were her babies and was the proudest of her grandchildren and great grandchildren. She is still waiting for her Pittsburgh Pirates to win another world series. She loved her high school bff's who she still met with for lunch. Surviving are her 9 children. Teresa (William Cominos) English of Cape Coral FL, John (Patti) English of Butler, PA, Trina English of Butler, PA, Karen (Craig) Diehl of Prospect, PA, Charles (Karie) English of Brooks, KY, Patrick (Kay) English of Butler, PA, Jeffrey (Anita) English of Butler, PA, Kris (Donna) English of Mt. Washington, KY and Kelly (David) Zaccari of Butler PA.
19 Grandchildren Kacey (William) Bremer, Adam (Jamie) Christy, Michael (Jennifer) Cominos, Dawna (Adam) Suman, Ben English, Elizabeth English, Lindsay French, Sarah (David) Taylor, Ila (Brent Burroughs) Hinchberger, Chaz English, Tina English, Joe English, Tom English, Garret English, Phillip English, Craig English, Dominik Fudoli, Josie (Matthew) Brown and Nash Zaccari. 1 Sister in Law Joanne English and numerous nieces and nephews. She was preceded in death by her parents, her husband, her 7 sisters, Isabelle Shreffler, Josephine Smith, Mary Smith, Clara Stellman, Lillian Surrena, Leona Goodwill, Twila Elder, 3 grandchildren Johnny French, Josh Baird and Zach Baird and one great granddaughter Addyson Martin. Friends will be received at the Geibel Funeral Home, 201 East Cunningham Street, Butler, from 2:00 p.m. until 4:00 p.m. Sunday. A Mass of Christian Burial will be celebrated on Monday, at 11:00 a.m. at St. Fidelis Roman Catholic Church, 125 Buttercup Road in Meridian. Interment will be in Greenlawn Burial Estates, Mt. Chestnut. In lieu of flowers donations can be made to the Leukemia & Lymphoma Society of Western PA, Two Gateway Center, 13 North, Pittsburgh, PA 15222.